We take food that would otherwise be destined for the bin even though it is perfectly OK and we turn it into wholesome meals. We don’t know what food we will have each morning so we always have the challenge of how to create an amazing meal within the limitations of the food that turns up. 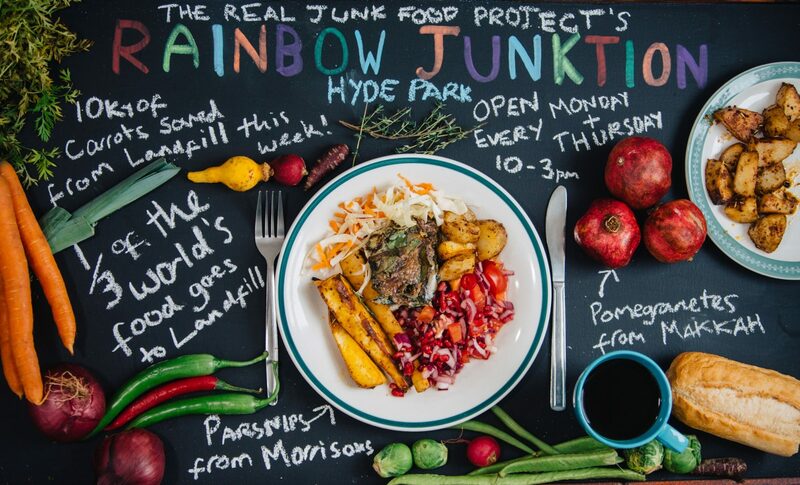 Projects like this can only run because of it’s volunteers and the Rainbow Junk-tion Café is no exception. We have an amazing group of volunteers already but if you would like to join them then why not drop into the café and speak to us.